Converts your old 4-legged Herman Milller swivel chair to a new 5-legged swivel chair, or your mechanical chair to a gas lift. 1 five star base black reinforced nylon. 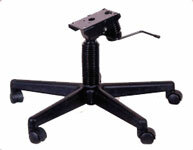 1 swivel tilt chair control. 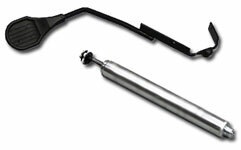 1 height adjustment gas cylinder.